You still have plenty of time to order to order holiday cards! Click here to view 77 different templates to choose from to choose your 4x8 holiday cards. All 77 templates can also be vertical as well as as they are displayed horizontally. 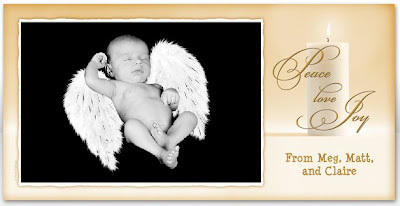 They are $35 for 25 cards, including envelopes and custom wording. We can turn these 4x8s cards around pretty quickly. We do also offer press printed 4.5x 5, 5x5 and 5x7 folded holiday cards -- just ask us and we can help you design a unique card to send out. 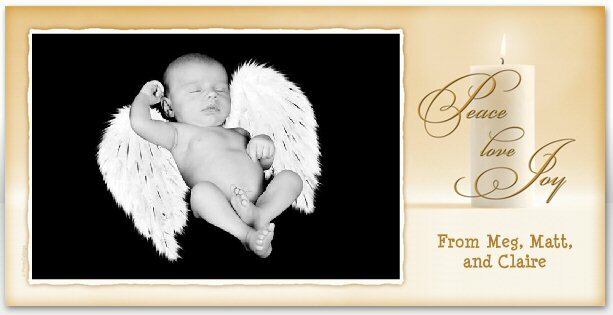 I just had to share this card with you -- isn't she precious!